In my previous articles, I have discussed how to use pandas as a replacement for Excel as a data wrangling tool. In many cases, a python + pandas solution is superior to the highly manual processes many people use for manipulating data in Excel. However, Excel is used for many scenarios in a business environment - not just data wrangling. This specific post will discuss how to do financial modeling in pandas instead of Excel. For this example, I will build a simple amortization table in pandas and show how to model various outcomes. In some ways, building the model is easier in Excel (there are many examples just a google search away). However, as an exercise in learning about pandas, it is useful because it forces one to think about how to use pandas strengths to solve a problem in a way different from the Excel solution. In my opinion the solution is more powerful because you can build on it to run multiple scenarios, easily chart various outcomes and focus on aggregating the data in a way most useful for your needs. Financial modeling can take many forms but for this article, I wanted to focus on a problem that many people will encounter in their lifetime. Namely, the finance aspects of a large loan. The wikipedia page has a good explanation of an amortization schedule. 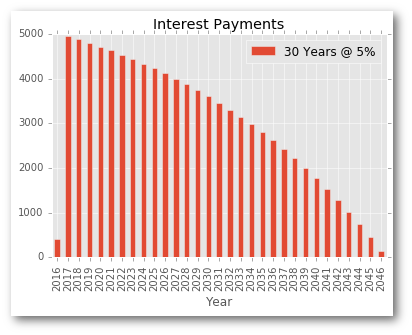 In the simplest terms, an amortization schedule is a table that shows the periodic principal and interest payments needed to pay of a debt. The most common case is the payoff schedule for a mortgage. Using the mortgage as an example, in each period (typically monthly) a home owner writes a check to their bank for a specified amount. This amount is split into a principal and interest payment. The bank keeps the interest and the principal is applied to the outstanding loan. Over a period of time the final balance will go to 0 and you will own the home. The basic model is simple. Each period results in a small decrease in the principal. At the end of 30 years, the balance is $0 and the loan is complete. How much do I save in interest if I contribute a little more principal each payment period? When will I pay off the loan? What is the impact of various interest rates? Using the pandas solution can be useful for comparing and contrasting multiple options. Not surprisingly, the numpy library has all the built in functions we need to do the behind the scenes math. In fact, the documentation shows one approach to build the amortization table. This approach certainly works but I’d like to include the results in a pandas DataFrame so that I can more easily dump the results to Excel or visualize the results. I am going to walk through the basic parts of the solution for a 30 year $200K mortgage structured with a monthly payment and an annual interest rate of 4%. For an added twist, I’m going to build the solution with an extra $50/month to pay down the principal more quickly. Now, let’s play with the basic formulas so we understand how they work. Calculating the total payment requires us to pass the right values to the numpy pmt function. This means that every month we need to pay $954.83 (which matches the Excel solution above). But, how much of this is interest and how much is principal? Well, it depends. The payment stays constant over time but the amount applied to principal increases and the interest decreases as we move forward in time. In other words, the first payment of $954.83 is composed of $666.67 in interest and only $288.16 in principal. Ouch. Let’s look at what the breakdown is for period 240 (20 years in the future). In this case, we are paying much more towards the principal ($638.34) and much less towards the interest ($316.49). That should be fairly straightforward. But, what if I want to know what my balance is at period 240? Well, then I need to understand the cumulative effect of all my principal payments. This is not as straightforward in pandas. This is where the Excel solution is a little simpler to conceptualize. As you can see, in row 10, the balance formula references row 9. This type of formula is simple in Excel but in pandas a reference like this seems difficult. Your first instinct might be to try writing a loop but we know that is not optimal. Fortunately there is another approach that is more consistent with pandas. I will get to that in a moment. Before we go there, let’s get the basic pandas structure in place. You should avoid looping code in pandas. It is very inefficient and there are normally better options to accomplish the same goal. To answer the question about the balance change over time, we need to build a pandas DataFrame from scratch. There are extra steps here (as compared to Excel) but this is a useful adventure into some of the pandas functions I have not discussed previously. This looks similar to what we have in Excel so we’re on the right track. Adding the payment is easy because it is a simple formula that produces a consistent value. All that’s left is figuring out how to manage the Curr_Balance column. Before I show you the better solution (I won’t say best because I would not be surprised if there is an even better option), I am going to show you the ugly approach I first took. The code below works but it is not the optimal way to solve this problem in pandas. I am showing this example because I suspect many novice pandas users would go down this path when trying to solve a similar problem. It also shows how a little time spent thinking about the solution yields a much better approach than just charging in with the first idea that comes to mind. It works but it’s starting to get a little cumbersome. Oh boy. 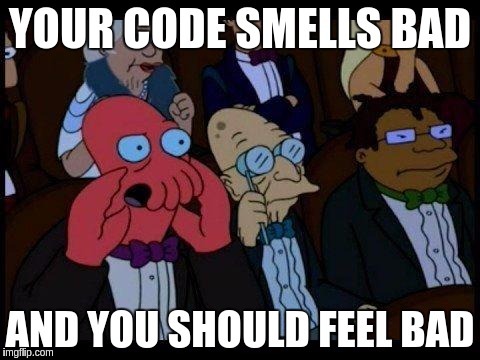 That works but the code smell is quite intense. At this point, I almost ditched this article because the solution was not very pretty. I decided to regroup by doing some research and found this post by Brandon Rhodes which helped me re-frame my problem and develop a much better solution. After reading Brandon’s article, I realized that by adding an additional column with my cumulative principal payments, I could very easily calculate the balance. The pandas authors realized some of the challenges of calculating results based on prior rows of data so they included several cumulative functions. In this example, I will use cumsum to build a running total of my principal payments. One thing that is interesting is that with the additional principal payments, I end up with paying more in principal that I originally planned to. Wow. This approach is much simpler than the looping solution I tried in my first iteration. The only thing left is figuring out how to clean up the table if we pay it off early. When an amortization table is built, the assumption is that the payments over each period will just be enough to cover the principal and interest and at the end of the time period, the balance goes to 0. However, there may be scenarios where you want to accelerate the payments in order to pay off the loan earlier. In the example we have been running with, the model includes $50 extra each month. Now we have a complete table, we can summarize and compare results. It has taken some time to pull this solution together but now that we know how to solve the problem, we can put it into a function that allows us to input various scenarios, summarize the results and visualize them in various ways. addl_principal (optional): Additional payments to be made each period. Assume 0 if nothing provided. Refer to this notebook for the full code as well as example usage. Obviously there are lots of available options for visualizing the results but this gives you a flavor for some of the options. Thank you for reading through this example. I have to admit that this was one of my more time consuming articles. It was also one where I learned a lot about how to work with pandas and use some functions that I did not have much familiarity with. 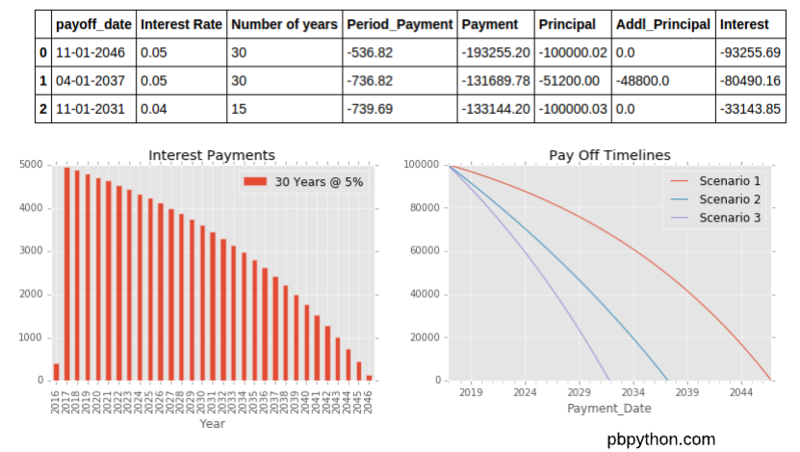 I hope this article will help others build their knowledge of python and pandas and might even be useful as a tool to analyze your own mortgage payment options. Based on feedback in the comments and discussions off-line, I realized that the calculations are not correctly working with the extra principal payments. 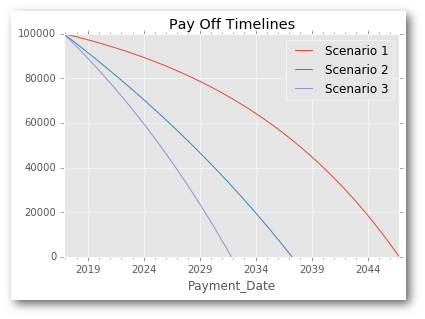 After looking into this in more detail, I figured out that the interest and principal payments do indeed to be recalculated each period which is proving to be problematic in pandas. I am working on a solution but in the meantime want to make sure to note the issue. I am keeping the article up since I think it is helpful to show additional pandas functionality but do regret that the results are not correct. If you have ideas on how to fix, please let me know. A new article has been posted that contains corrected code to fix the errors identified above.